The new App, called simply “Health”, will collect a number of body metrics including blood pressure, heart rate, and stats on diet and exercise. Health will constantly monitor key health metrics (like blood sugar or blood pressure), and if any of them begin to move outside the healthy range, the app can send a notification to the user’s doctor. What Apple does well as usual is providing simple, easy-to-use dashboards for health and fitness. The Health app will share all its information with a new cloud platform called “HealthKit.” The new health cloud platform is designed to act as a global repository for all the user’s health information. It will accept data collected by a variety of third-party devices and apps. For instance Nike is now working to makes its health and fitness apps integrate with HealthKit. HealthKit cloud-based platform is where the real heart of the operation is. It uses real-time and historical data, aggregating data from all the devices tracking vital statistics. HealthKit will allow you to know more about your body and track your every step. HealthKit also allows you to share data with healthcare Providers and even Payors. Apple’s iPhone is essentially going from part-time health stat monitor to full-time mobile monitoring unit. What if you (and authorized healthcare professional) can listen to your body 24×7? 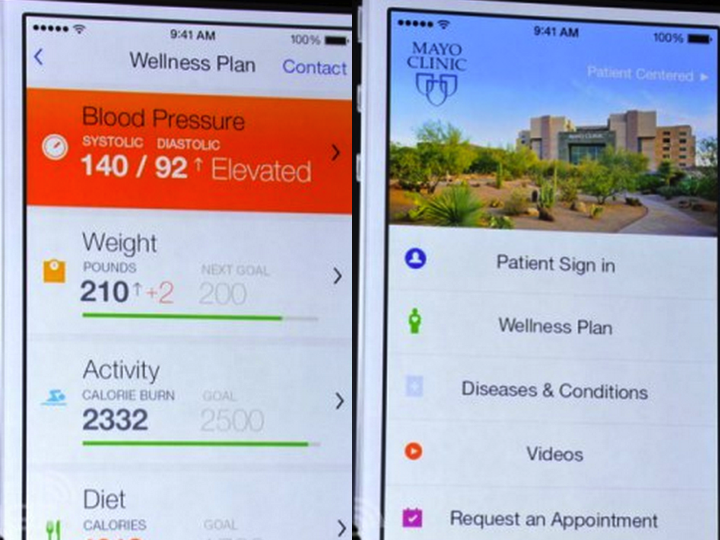 Personal health data can also flow from HealthKit into the Mayo app and then into the Electronic Health Record (EHR). What’s next? Apple, like Samsung, is innovating beyond wearable tech, and into new territory, where blood flow, hydration level, skin temperature, and more are being tracked constantly. The device itself looks like a watch; but it has a continues ticker, showing your heart rate and other variables. 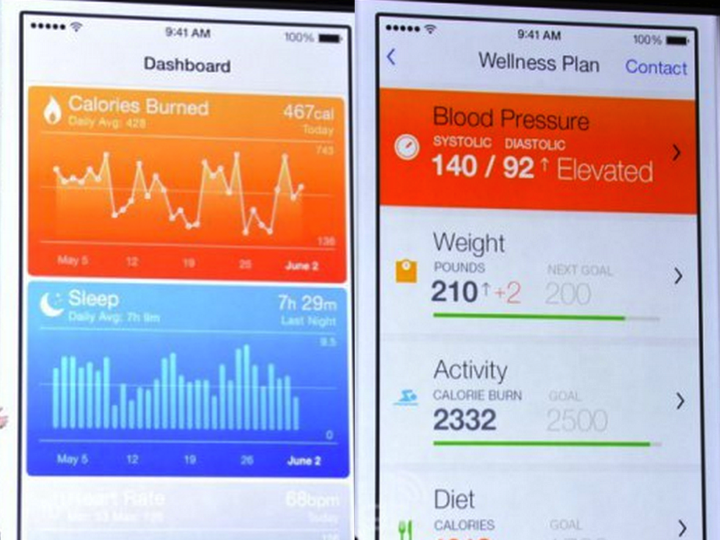 Samsung has announced an equivalent of HealthKit called SAMI (Samsung Architecture Multimedia Interactions). I won’t be surprised if Google is not far behind. They can’t allow Apple to distance itself in value creation. After Health… the next battleground seems to be home automation. Google buys NEST Home Automation Solutions for 3.2 Bln. To compete… Apple is introducing HomeKit, which includes new tools so all those garage doors, thermostats and smart light bulbs can be operated securely through Apple’s phones and laptops. Internet of Things just got more real.